The summer begins in Sardinia and the Costa Smeralda calendar is full of events not to be missed during the holidays. May sees an event dedicated to food and drink: the Porto Cervo Wine & Food festival. 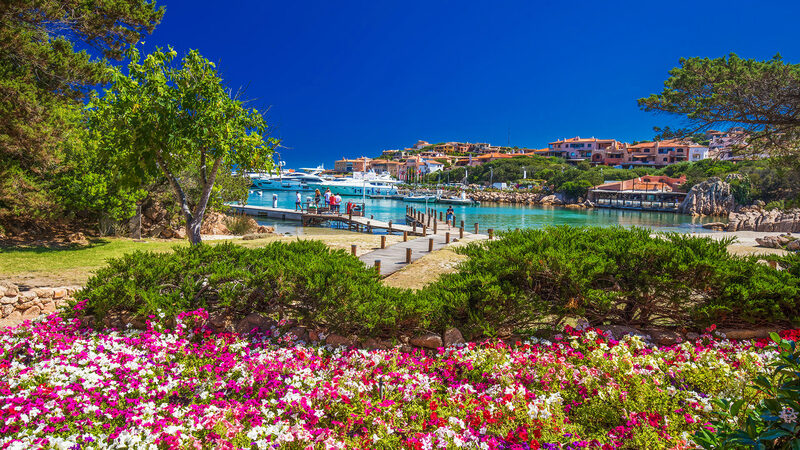 Already humming with activity, Porto Cervo in spring is getting ready to welcome one of the most eagerly awaited events in the North of Sardinia. From 18th to 20th May 2018 the boutique village of the Costa Smeralda will host the tenth edition of the Porto Cervo Wine & Food Festival, the event that celebrates the discovery of Made in Italy excellence, dedicated to local flavours and top quality Sardinian and national wines. Tastings, important guests, chefs and meetings will accompany guests on a journey focusing on the high quality, innovation and authenticity of Mediterranean cuisine. In addition to the best wineries and examples of Sardinian gastronomy, there will be exhibitors from other Italian regions including the Veneto, Lombardy, Campania, the Marche, Tuscany, Trentino, Sicily, Friuli and Piemonte and since the focus is on wine, any event without a contribution from France would be unthinkable. Three days will be dedicated to events and in-depth presentations accompanied by tastings and gastronomic itineraries set against the backdrop of the fashionable and picturesque Porto Cervo. Anyone spending their holidays in Gallura at the end of May should definitely not miss this event. Delphina guests who are starting the summer season in Delphina’s hotels in Palau and in the Resort Cala di Falco in Cannigione just 15 minutes from Porto Cervo can not only experience traditional flavours and local products in the hotel restaurants but can also take advantage of the event to discover the excellent products found throughout the whole island. So in addition to the sea and the natural wonders which have a special attraction of their own during Spring in Sardinia, a week end in May in the Costa Smeralda may well also become an oeno-gastronomic experience.